Almost every month the 25th sneaks up on me. Yesterday, I was browsing my usual card blog list and realized that it was the 24th! 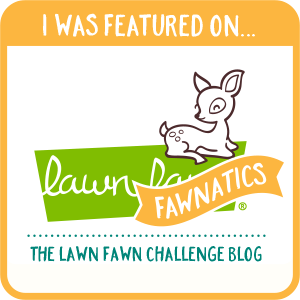 It wasn't too late to play along with this month's PTI blog hop challenge. The inspiration piece is quite soft and beautiful. I was inspired by all that softness. I was thinking vellum, rich luxurious white paper, watercoloured leaves and a metallic touch. 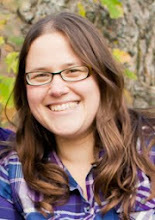 I think I achieved what I wanted, but it does not photograph easily. I took a few different shots so you could get a better idea. First of all- the interior (since that's actually what I started with): I brought out some of my cotton paper because I just love it for watercolouring. I inked up two of the leaf images from Turning a New Leaf with distress inks. I knew these would not stamp crisply, but I didn't want them too. Next I used the same inks and made a little palette and got to work painting. I used Evergreen Bough and Pine Needles for the greens and Brushed Corduroy for the brown. Once that was done I took just a touch of silver reinker and watered it down to add little sparkly touches to each leaf, which you can see better on the next photo. I waffled a bit about just placing my embossed greeting directly on the watercoloured panel, but I decided against it. Instead, I adhered the panel into a vellum card base and embossed the word from the Pen & Ink set using Platinum embossing powder. The final touch was some white organdy ribbon and some silver cord. Thanks for stopping by, can't wait to see what everyone else made! Love the soft vellum with the leaves peeking through! Beautiful card, Natasha! And gorgeous coloring on the leaves! Absolutely elegant and gorgeous! 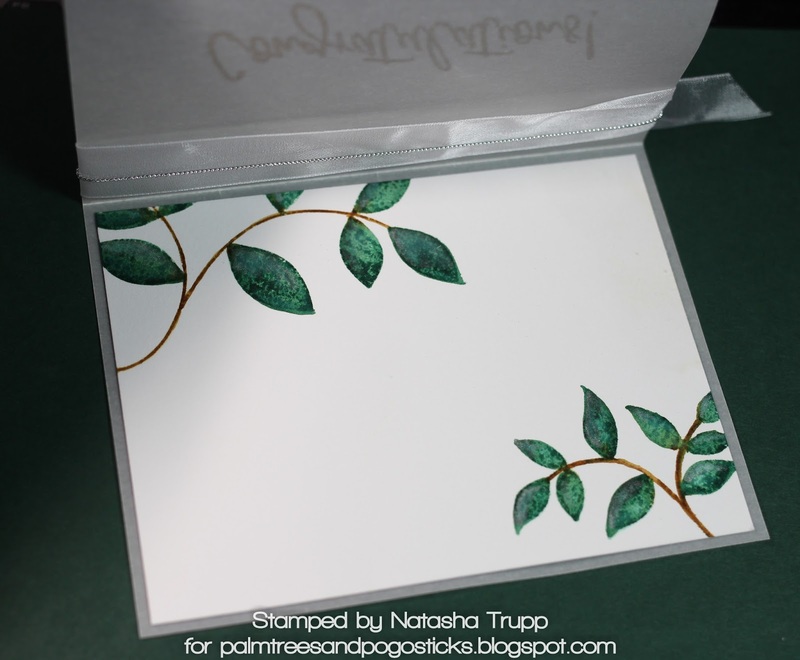 Love the vellum overlay and your beautiful leaves, Natasha! Beautiful, inside and out. Love how you gold embossed your sentiment. This is so pretty! Great idea to soften it up. Beautiful! This is so lovely and quite elegant as well. What stamp set did you us - I'm thinking it was turning a new leaf? You did an excellent job! Oh my Natasha, this is so soft and beautiful! Fabulous idea to overlay the vellum! Wonderful take on the inspiration photo! You've captured the softness beautifully thru the use of a vellum cover...well done! Lovely with the vellum to soften your card. Such a pretty design with the vellum overlay! Awesome card!! 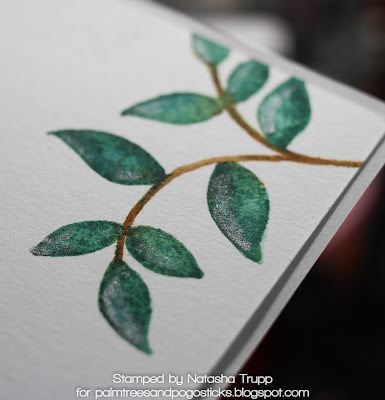 I love how you muted the leaves with a vellum overlay!!! 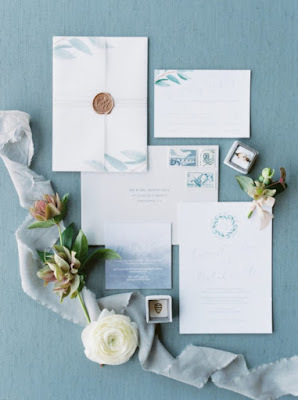 So beautiful...love your gorgeous leaves and that vellum overlay, genius! Gorgeous!!! 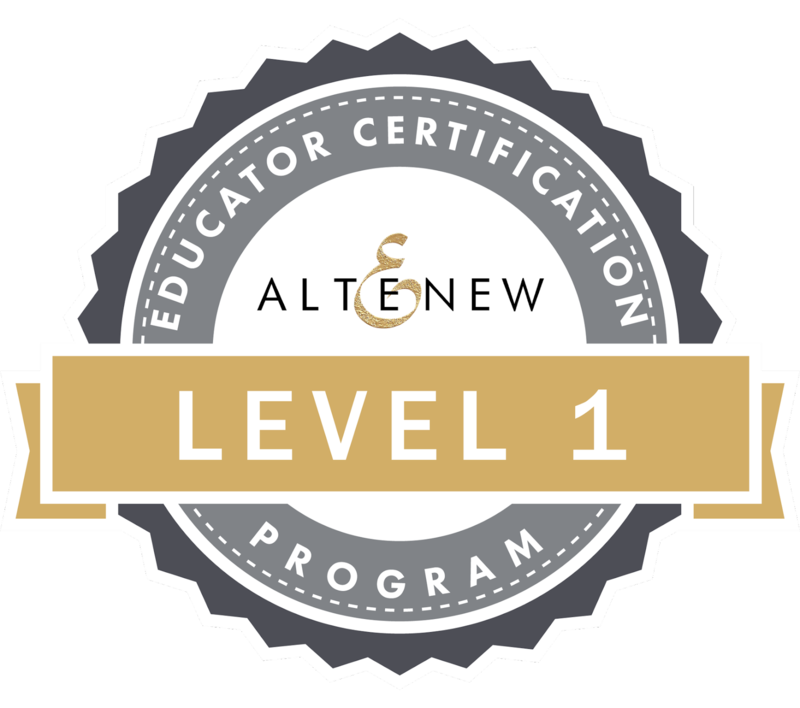 I LOVE the vellum overlay and of course the ribbon! Love the vellum overlay! Very pretty. Love the richness of the leaves and the technique with the overlay! Beautifully done! Softness perfected! What a lovely take on the inspiration. 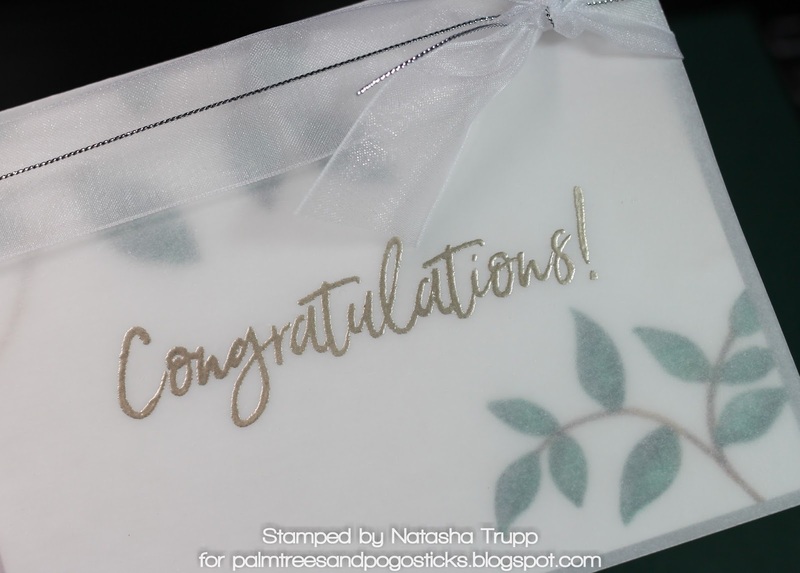 Natasha, the vellum was a fabulous idea and your results are stunning! I'm going to have to pin this for later use. What a great technique using velum!